A Mailbox is where incoming mail from your lead source will be stored. 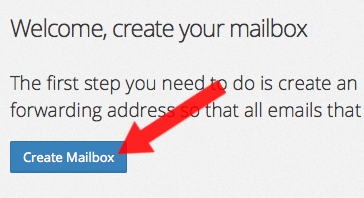 To create your first Mailbox, go to the Email Parsers Page. Click the Create Mailbox button to get started. Give your Mailbox a Label. The label is for your reference only, it can be anything that you want. You may also want to receive the emails that Parsey receives as well. 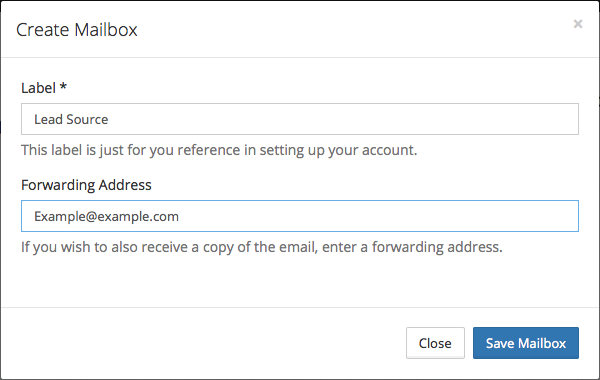 To do this, type the desired email address in the Forwarding Address field. Then click Save Mailbox.